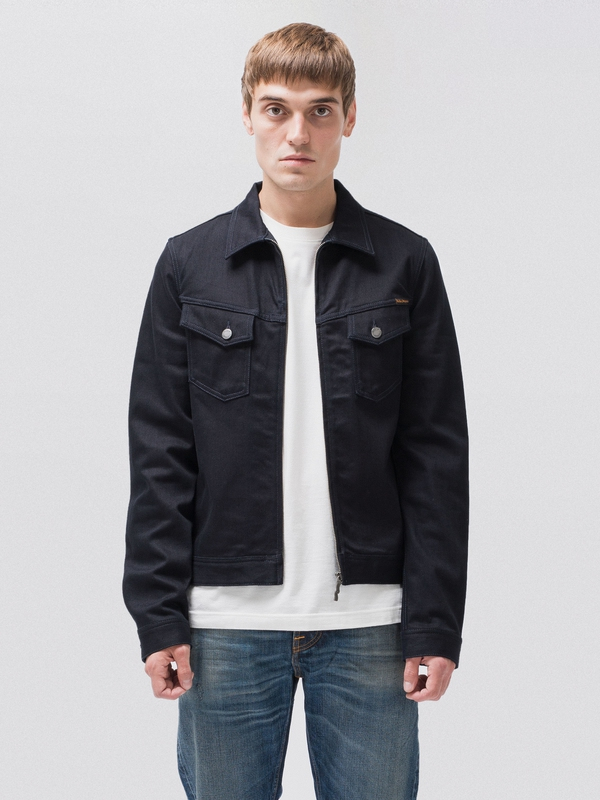 Our classic Kenny Jacket with a twist, the ecru back yoke embo, a homage to another classic garment of ours. 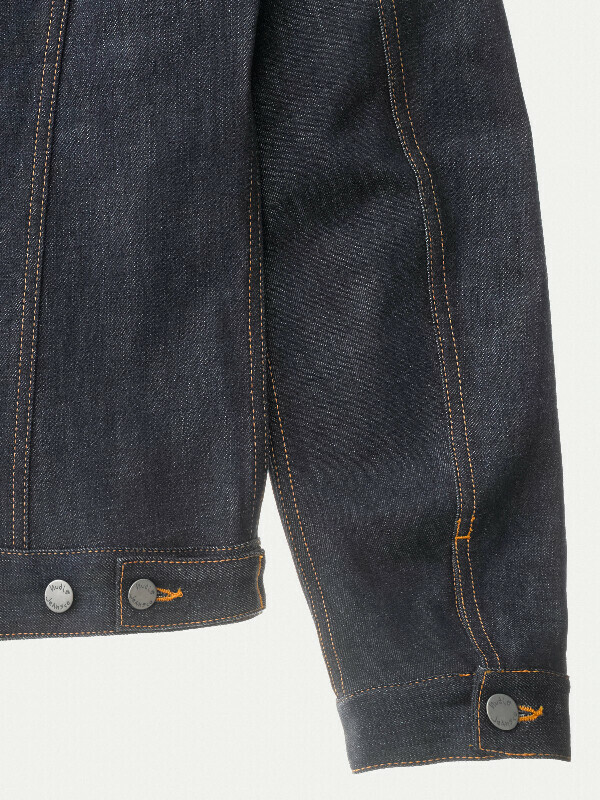 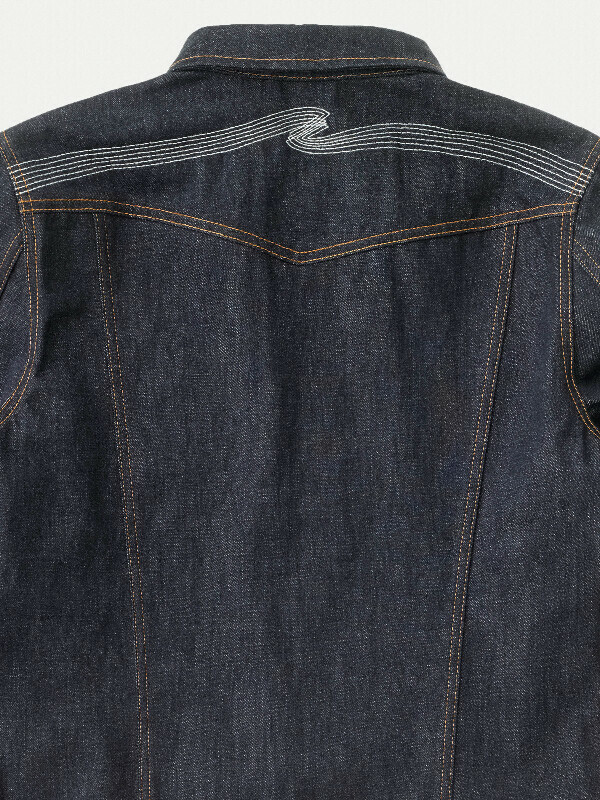 The denim has ring-spun yarns in both warp and weft, with short slubs in the warp. 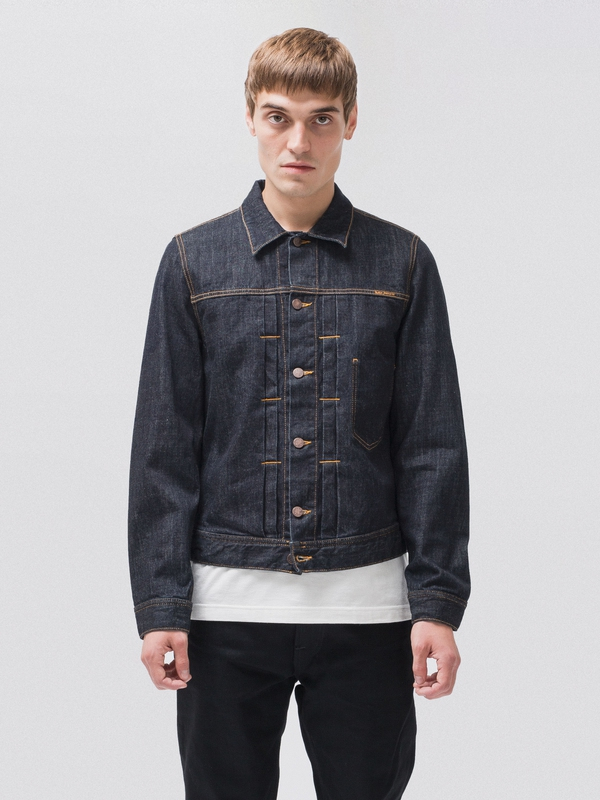 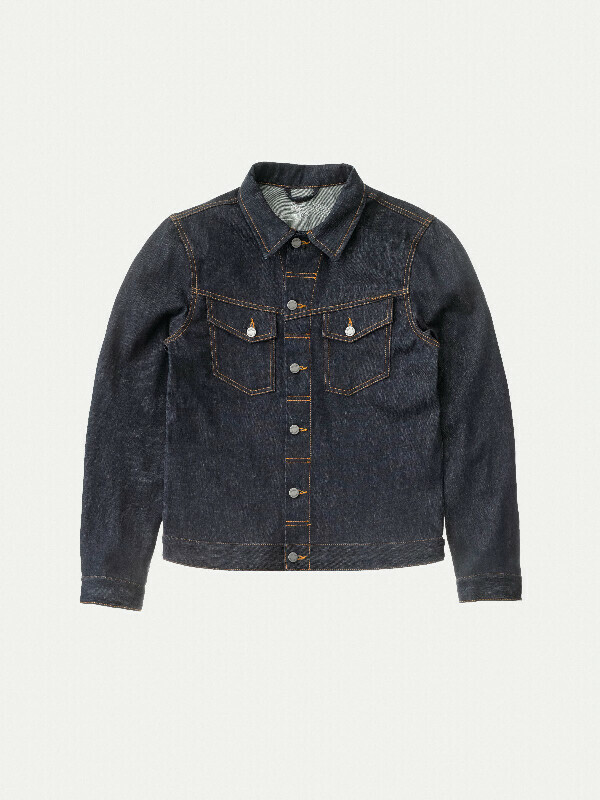 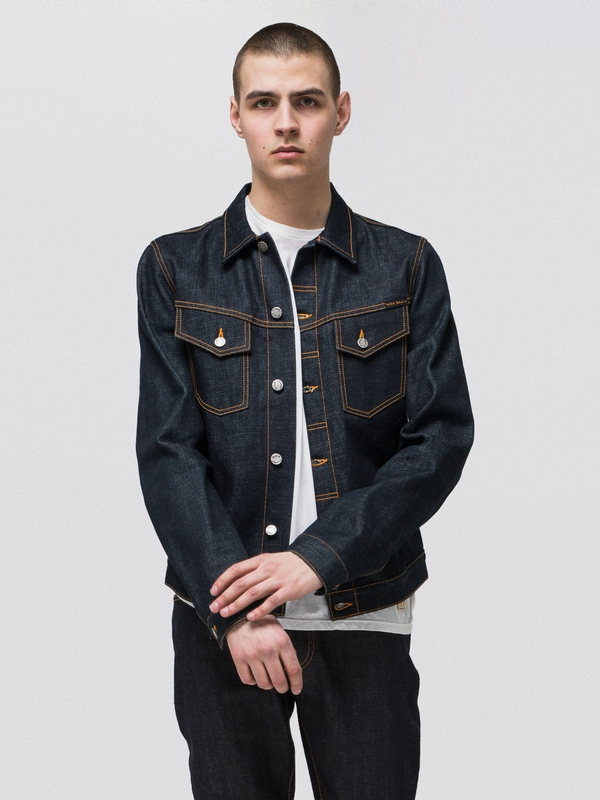 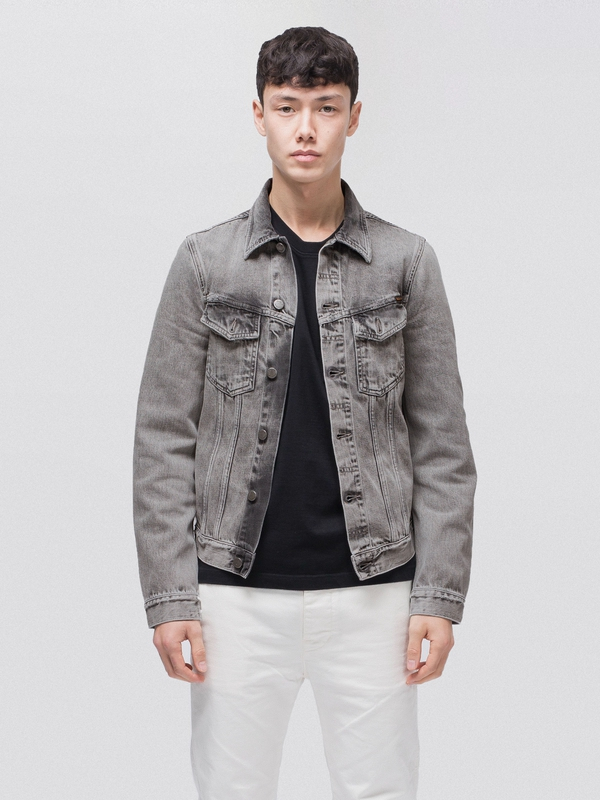 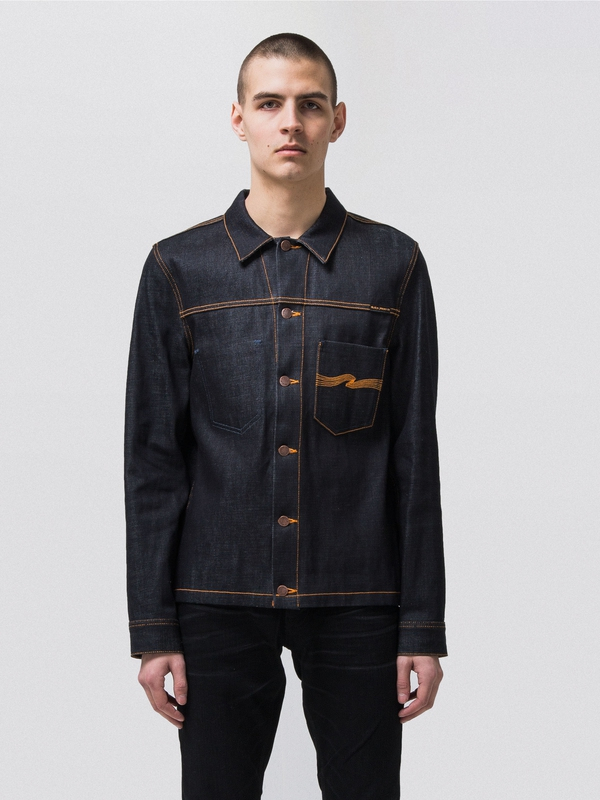 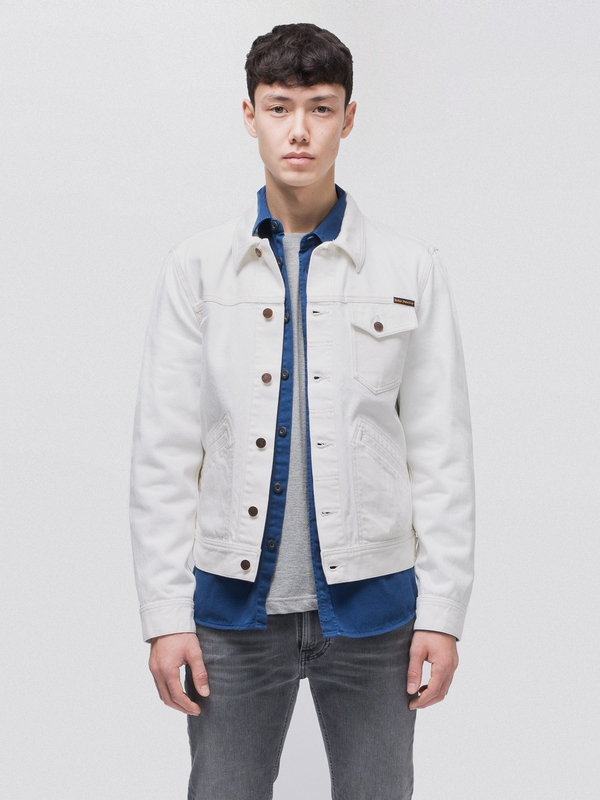 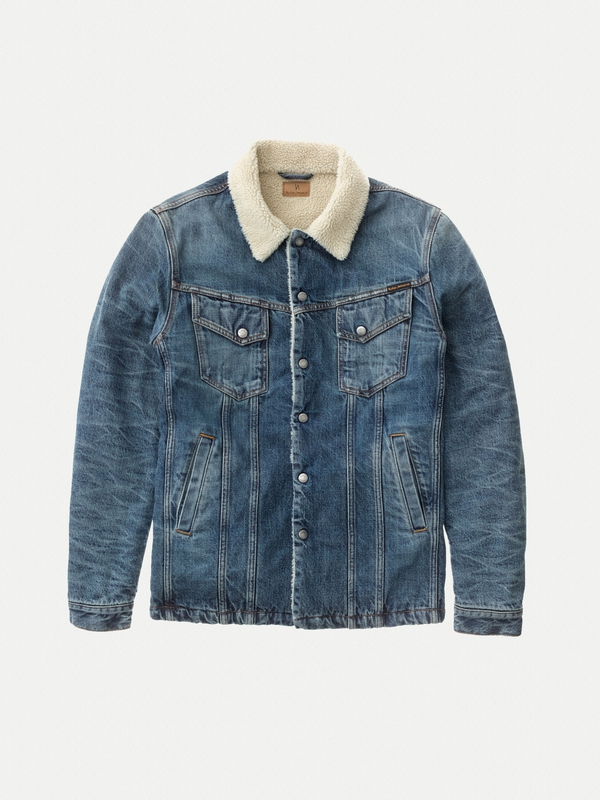 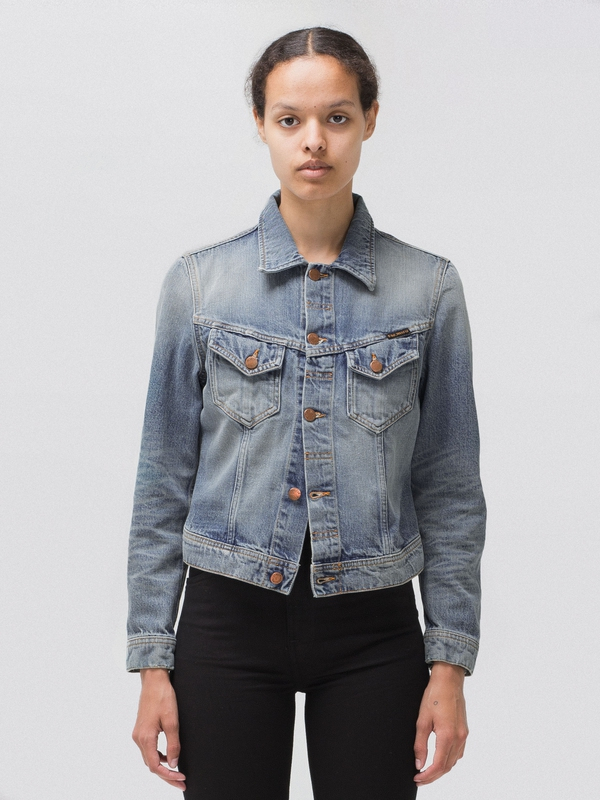 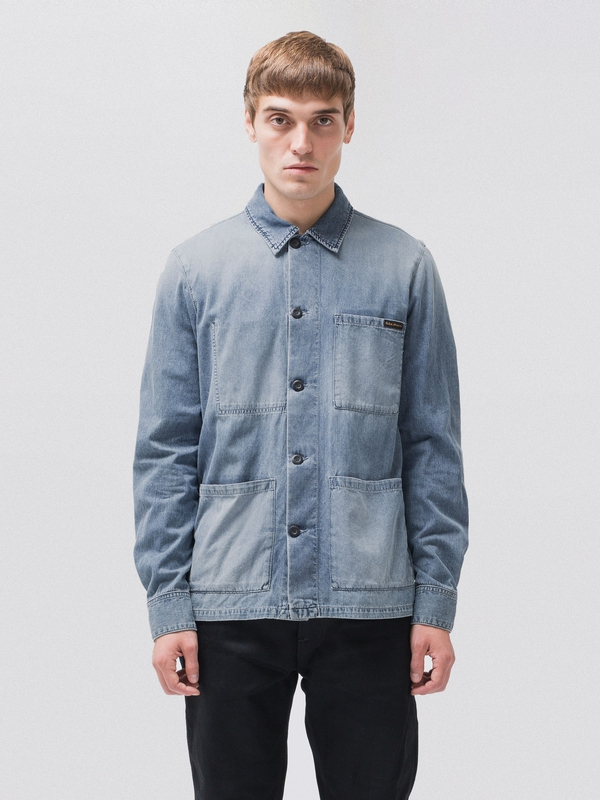 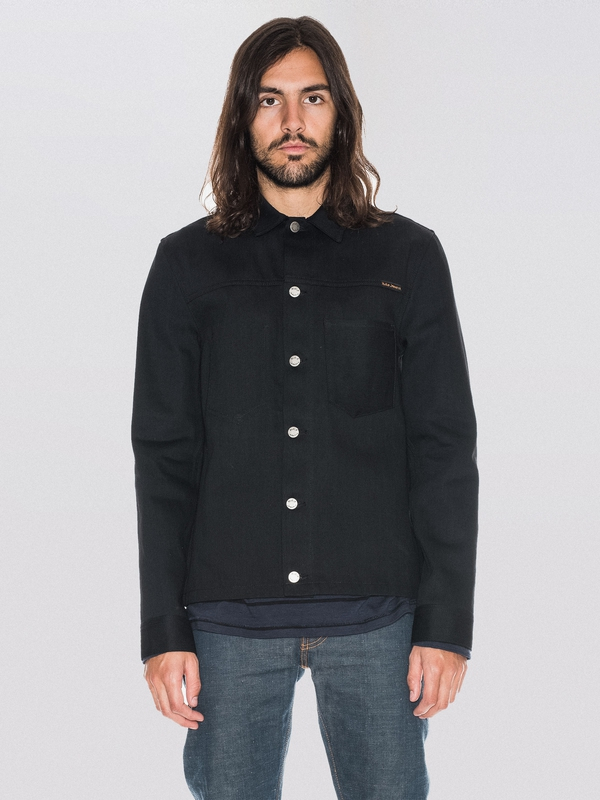 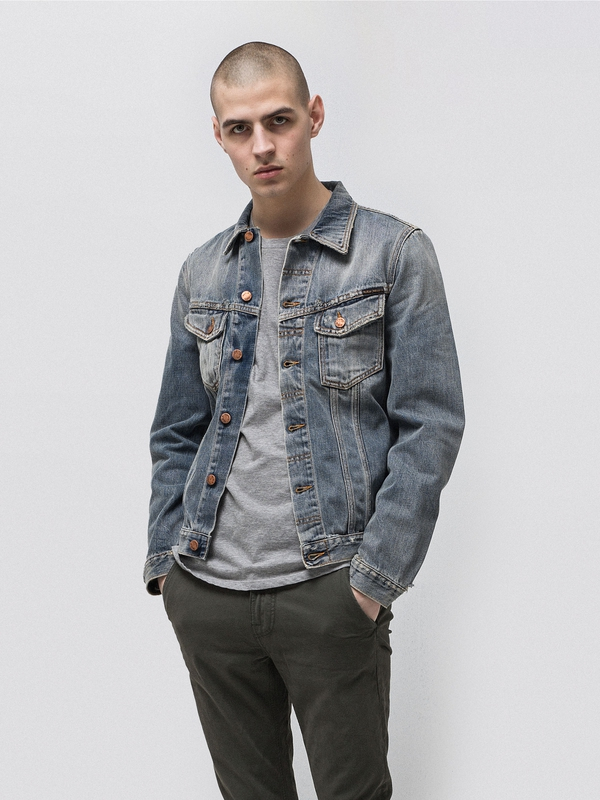 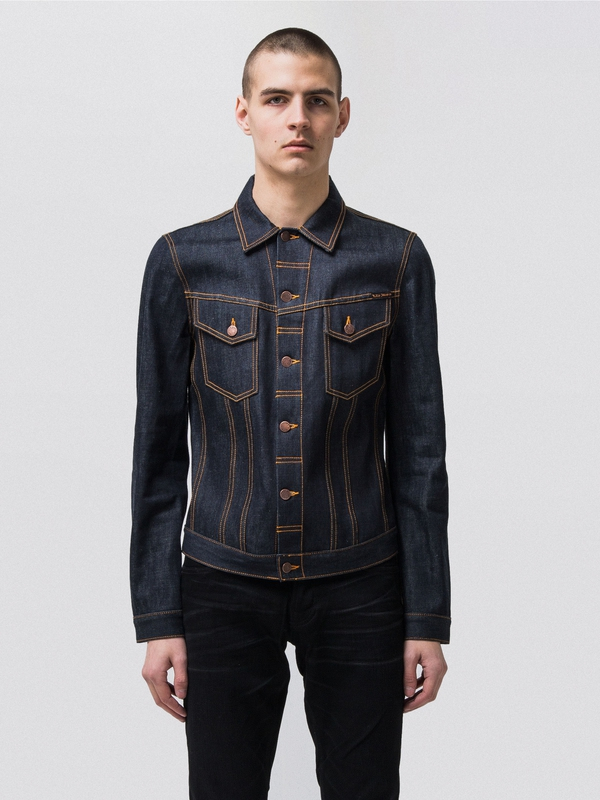 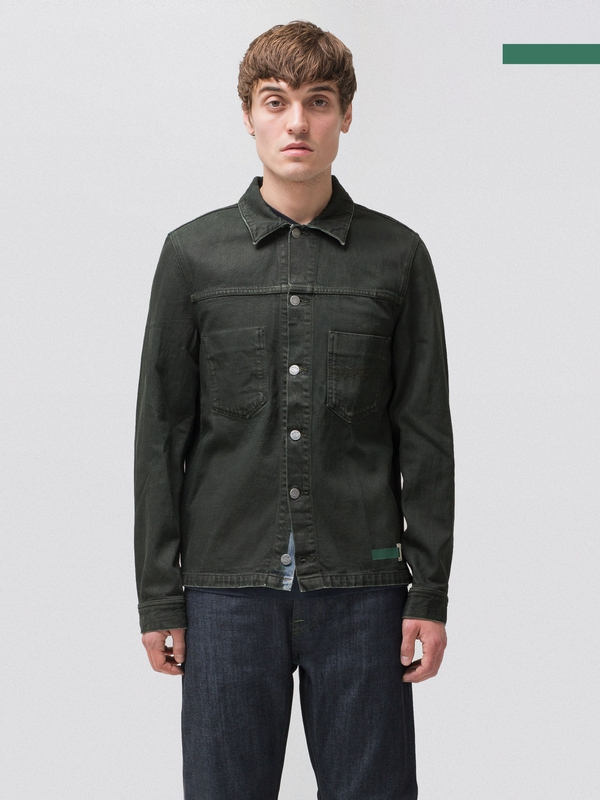 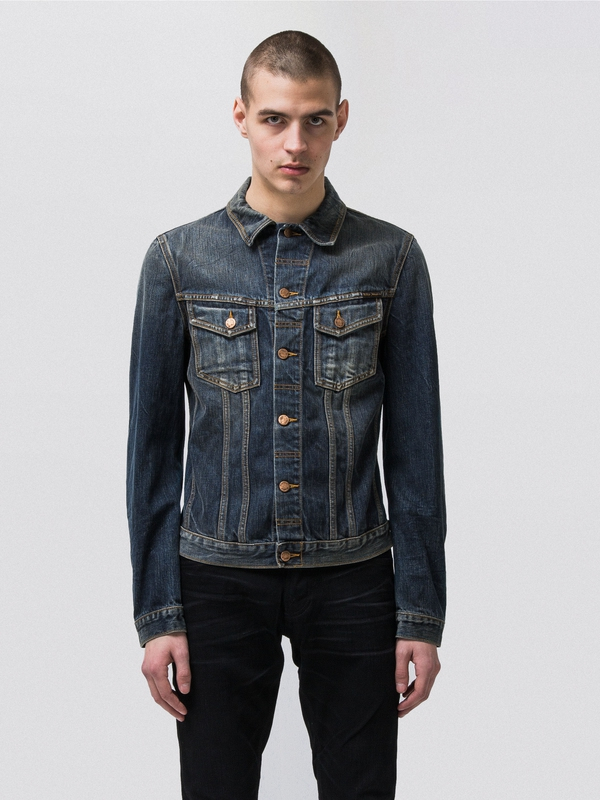 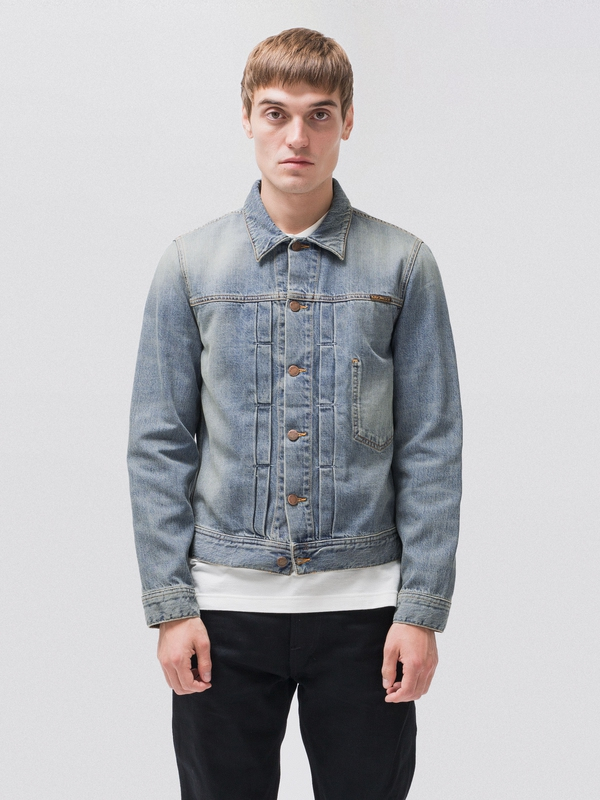 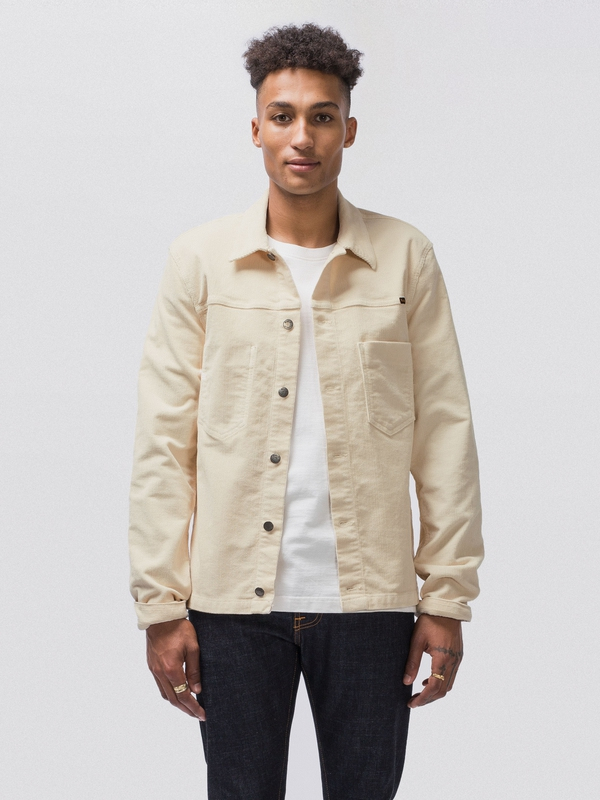 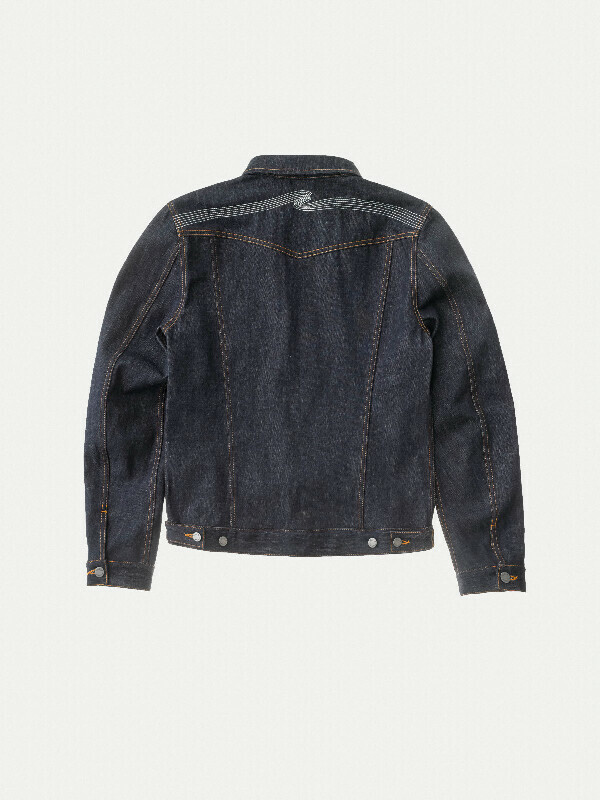 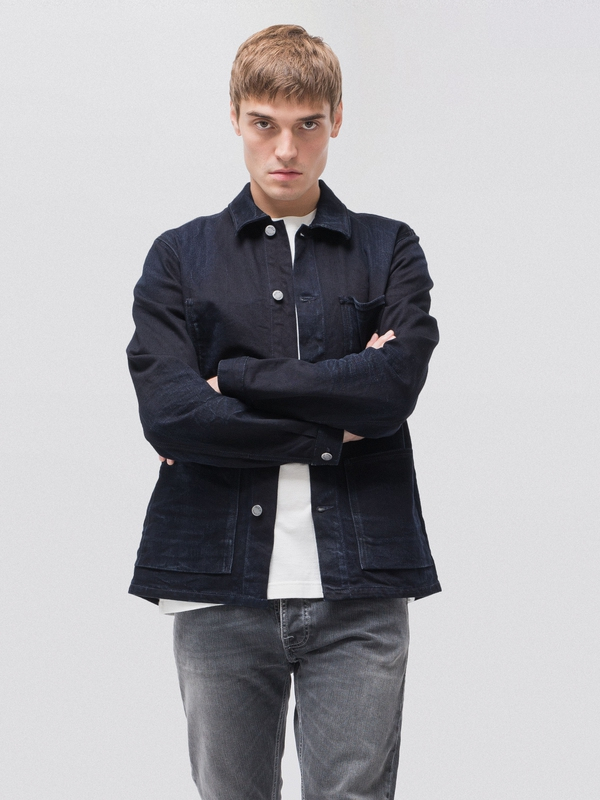 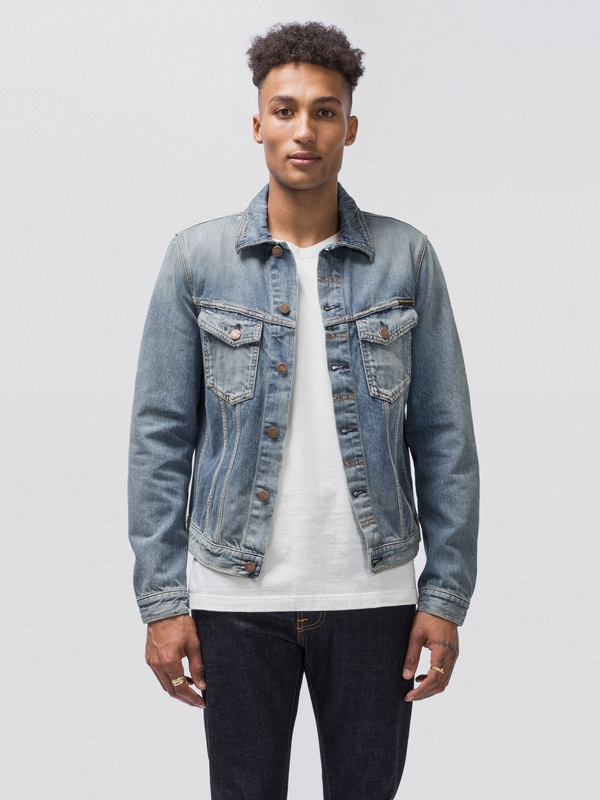 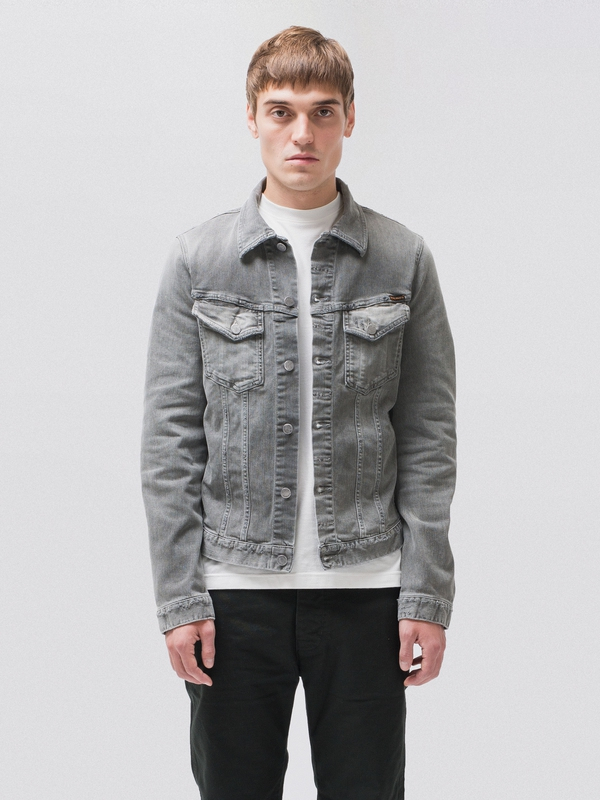 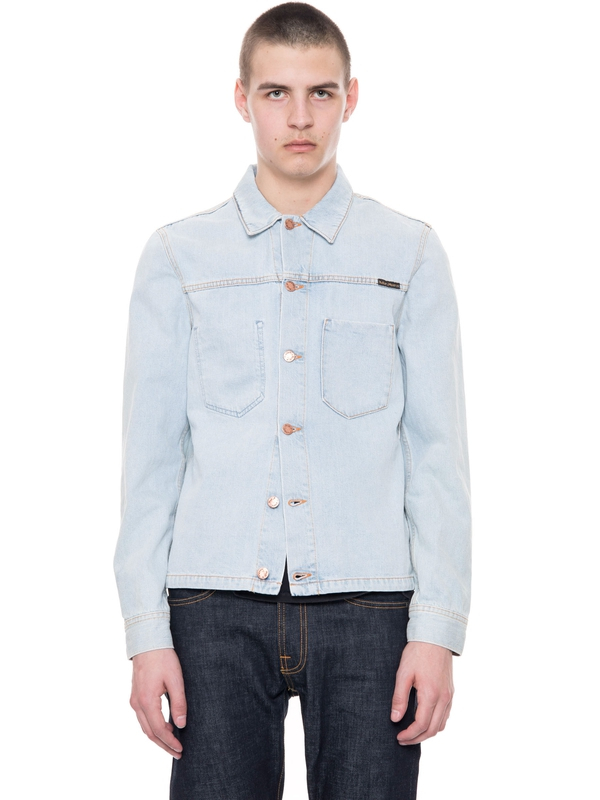 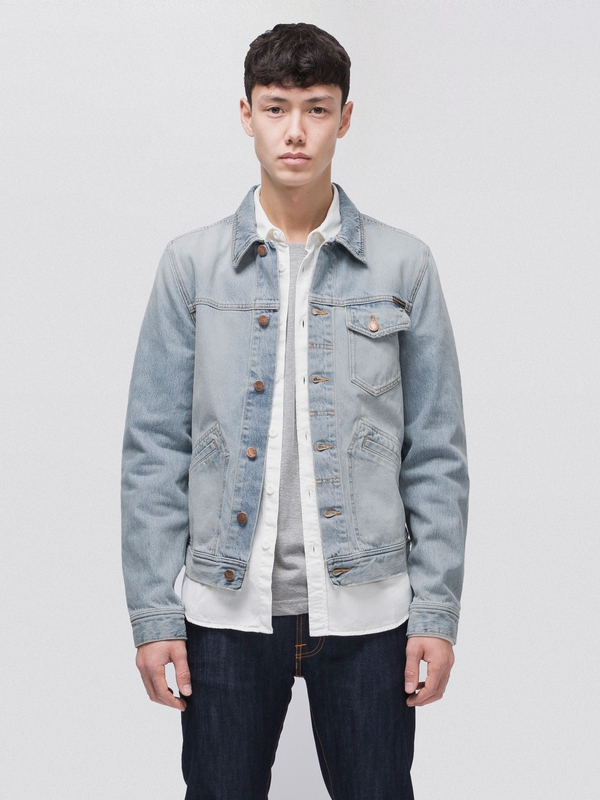 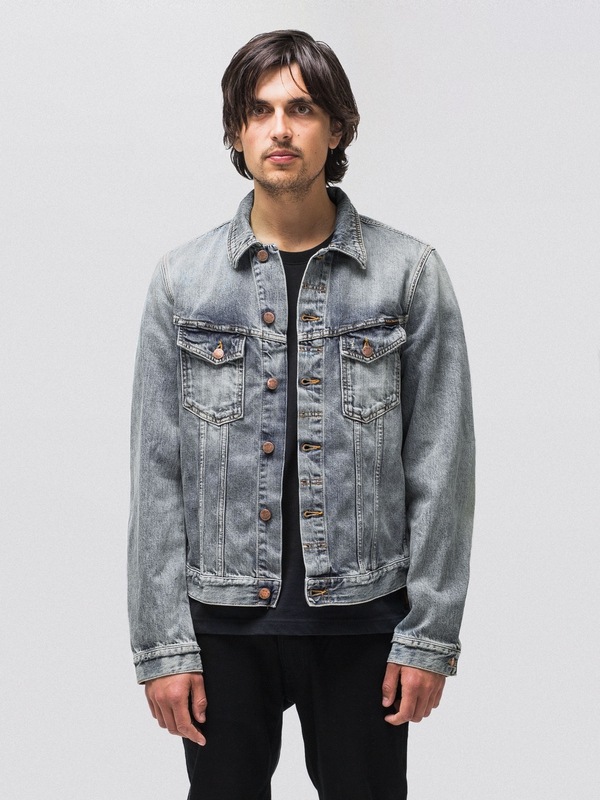 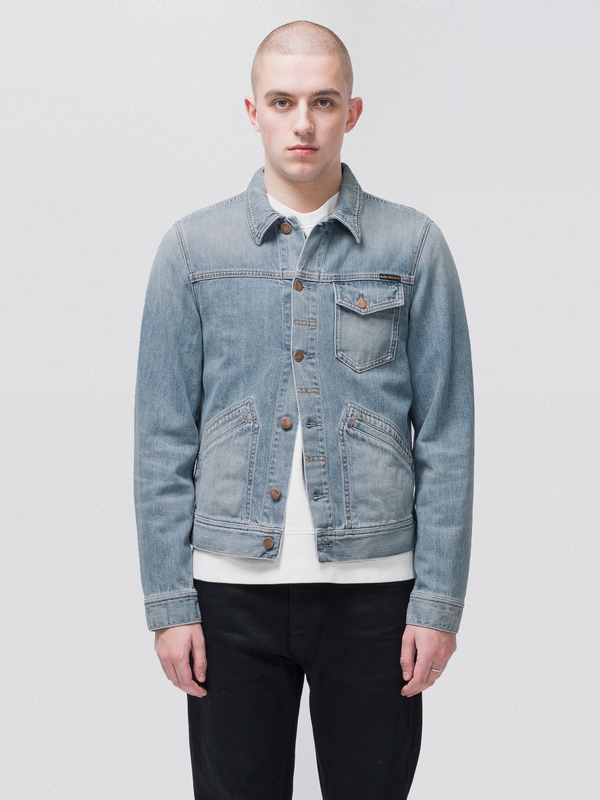 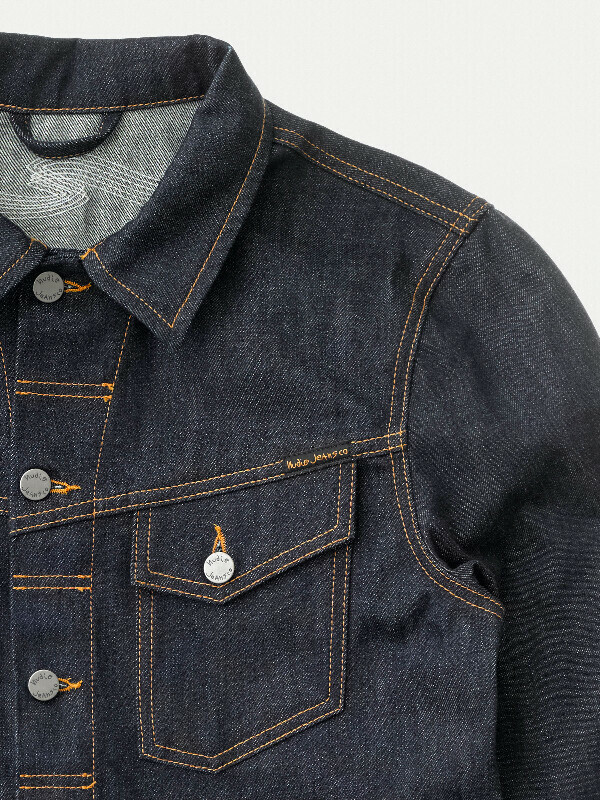 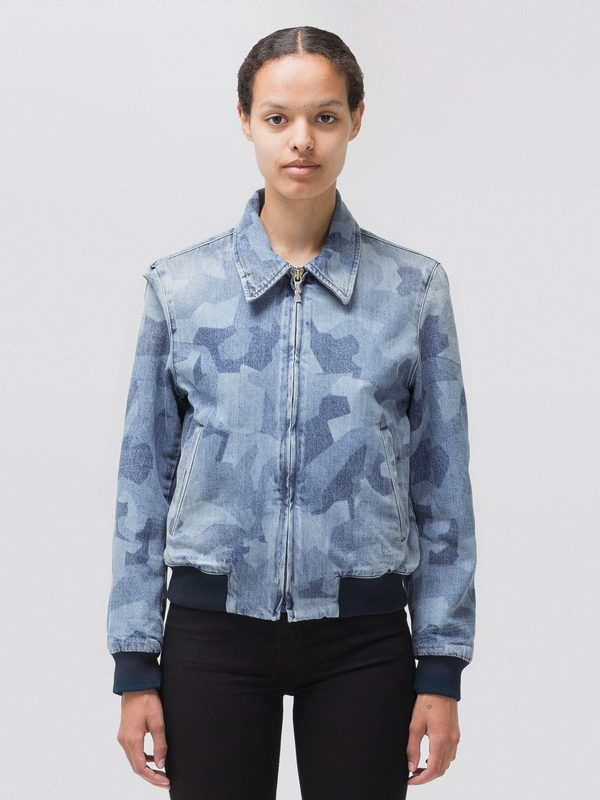 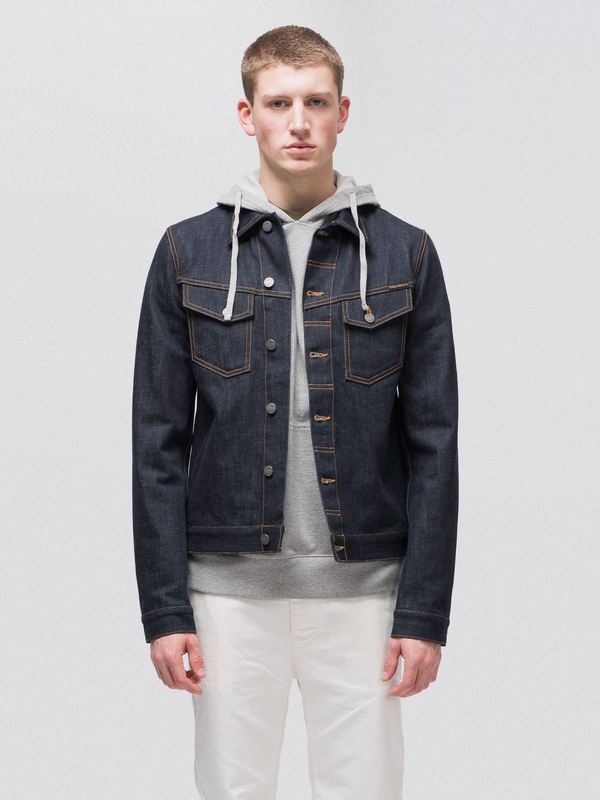 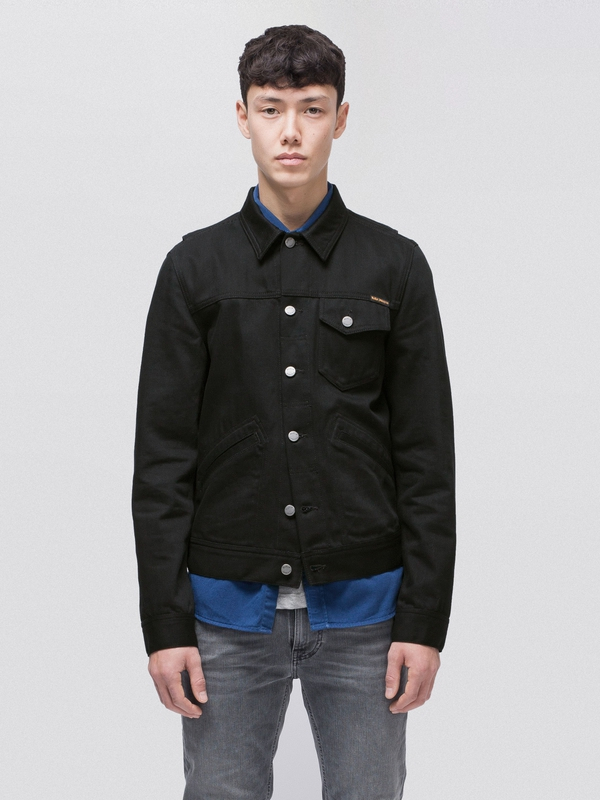 As with all dry denim, this jacket will evolve with use and get even better with time. 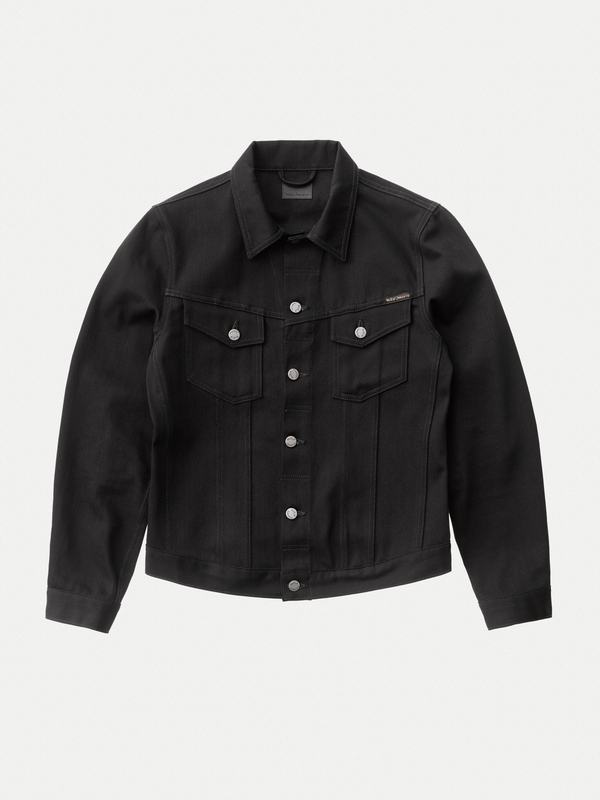 With its 13.4 oz rigid denim this jacket will take some time to break in, we recommend 12 months of use before the first wash, but that's just us.